Reproduction of watercolor, double matted to fit a 12″ x 18″ frame. $45 plus shipping and tax. 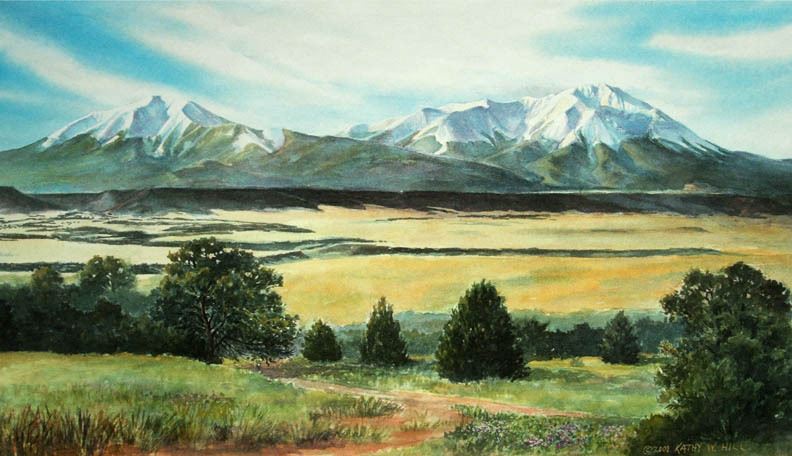 Published June 29, 2015 at 792 × 456 in Prints: Spanish Peaks.